We already learned all the numbers up to 99 in the first chapter. We will now learn the numbers 100 up to 10 quadrillion. If you need a quick review, here are the first 10 numbers. Here are the additional units for numbers starting from 100. Note: Units larger than 「千」 require another preceding number and cannot be used by themselves. 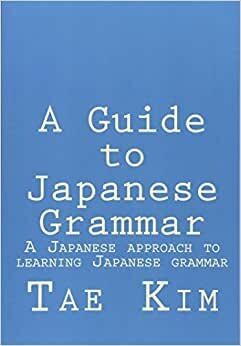 For example, 「万」 does not mean 10,000, you need to add a one: 「一万」. Because the Japanese numeral system is based on units of four not three, the same units get repeated once you get past 10,000 until you get to 100,000,000. In other words, numbers are organized as 1,0000, 1,0000,0000, 10^12, 10^16 and so on. You’ll need to pay careful attention to reading changes for some sound combinations. The chart below outlines the numbers that are pronounced slightly differently. Large numbers are rarely written in all Kanji as you can imagine something like 「二百三十万九千四百三十一」 would be difficult to read. You will usually see a combination of numbers and Kanji or just numerals altogether. Several ways to say zero and other types of numbers are listed below. 「まる」 meaning “circle” is similar to how we use “O” (the letter) in things like phone numbers, room numbers, and addresses. John: Oh already! (I) don’t understand Japanese numbers at all! Alice: It’s certainly difficult, isn’t it? Because in Japanese (you) count by units of four, I just add four, divide by three, and change (it) into (the) English number. For example, ひゃくまん is 2 plus 4 and (it’s) six so it becomes 1 million. John: No, (I) don’t understand at all! Lee-kun, it isn’t difficult? Lee: Korean is the same as Japanese so (it’s) easy, you know.